Our first stop in the Algarve was high in the mountains in Monchique. We stayed in a modern spa resort with a great mountain view. Our second stop introduced us to the Algarve by the sea. The large resort was on the cliff edge with full resort amenities. For our third stop, we headed to the Eastern Algarve. 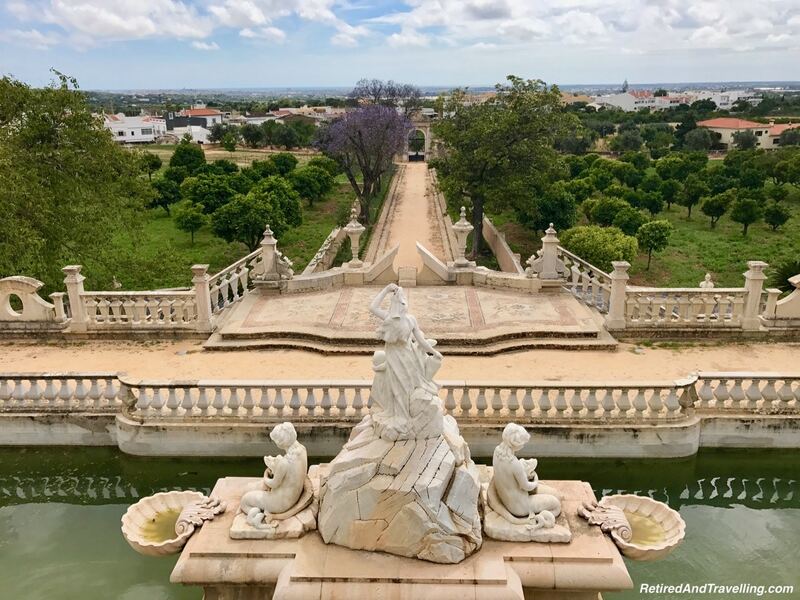 We booked to stay in an Algarve palace pousada but we did not truly appreciate what this meant when we booked! 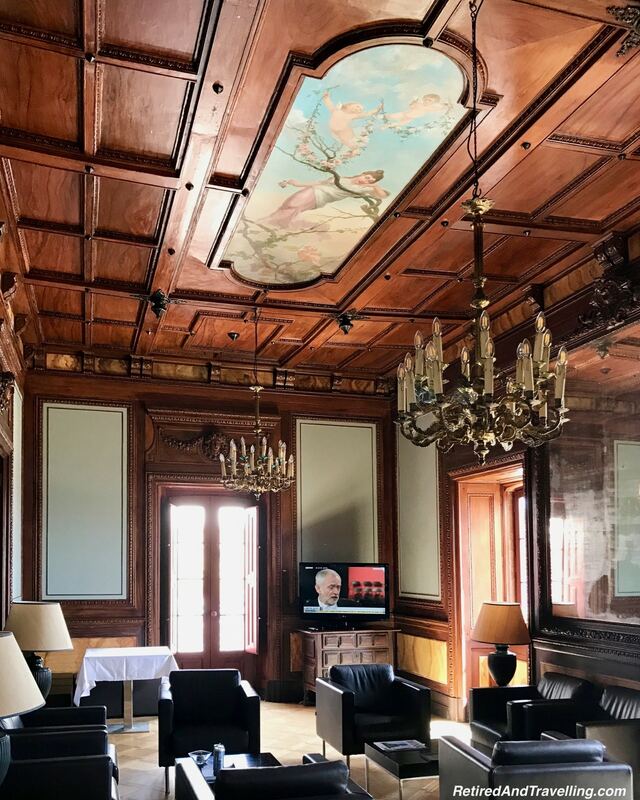 It was suggested that we should stay in a Pousada when visiting Portugal. 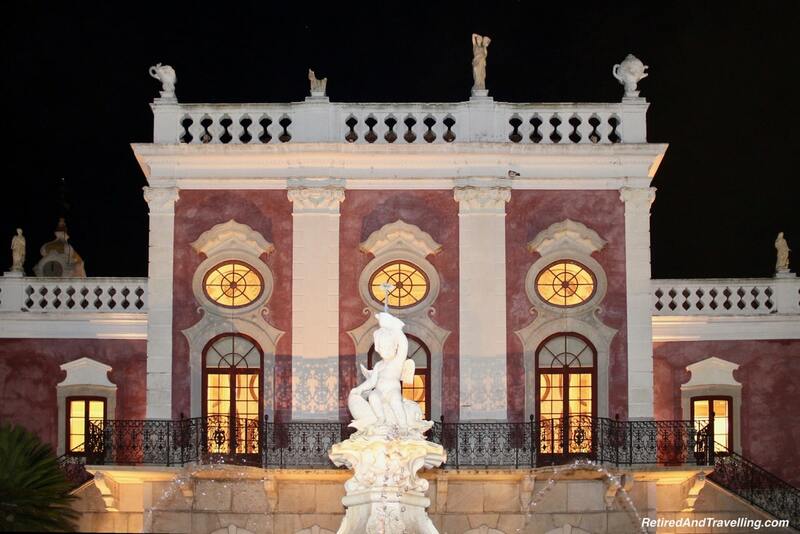 Pousadas are all historic buildings that were converted into luxury hotels when the Portuguese government decided to preserve important cultural sights. 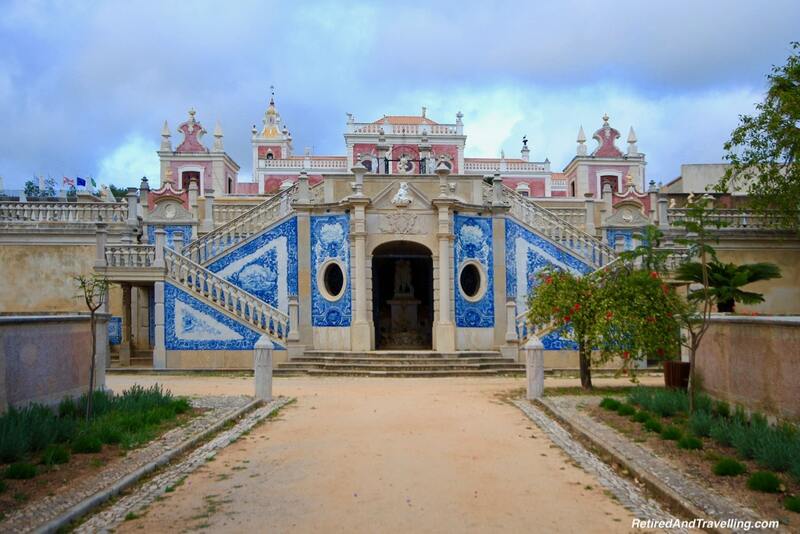 The Pousadas are in monasteries, convents, castles, forts and palaces throughout mainland Portugal and the Azores. 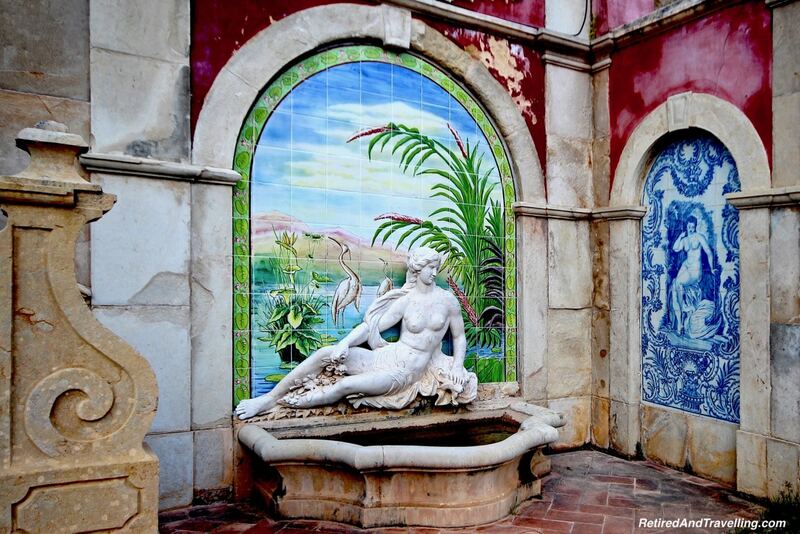 When we stayed in the walled town of Obidos, we toured the Pousada in a castle. On Faial in the Azores Islands, we saw the Pousada in a fort. 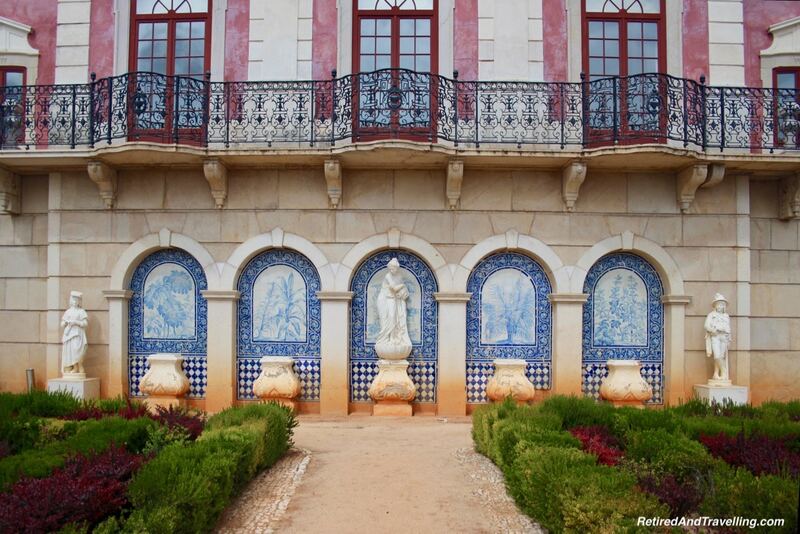 In the Algarve, we stayed at the Pousada Do Palacio de Estoi. 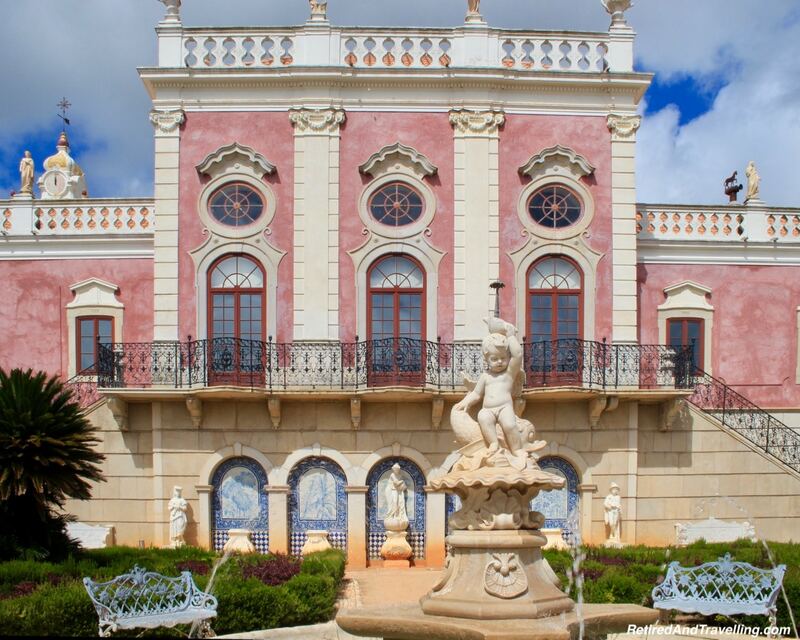 The former palace is located close to Faro just outside of the small town of Estoi. Our approach to the palace was from the small town. 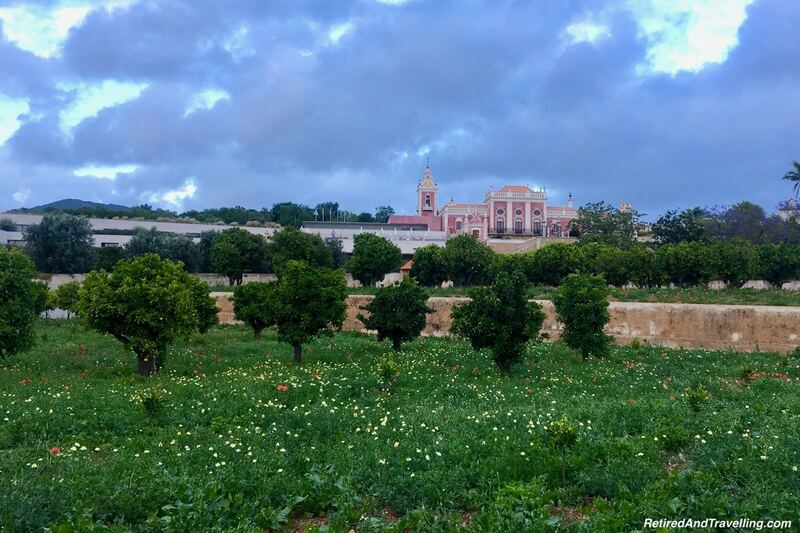 As we drove along the narrow lane, the palace came into view. It confirmed we were in for a treat with a stay in an Algarve palace pousada! We checked in and did the very long walk to our room. The reception area is located on the top floor and the guest rooms are on 3 levels below this. The halls run along the hill side overlooking the town of Estoi. It was almost 1000 steps roundtrip from our room to the main floor! 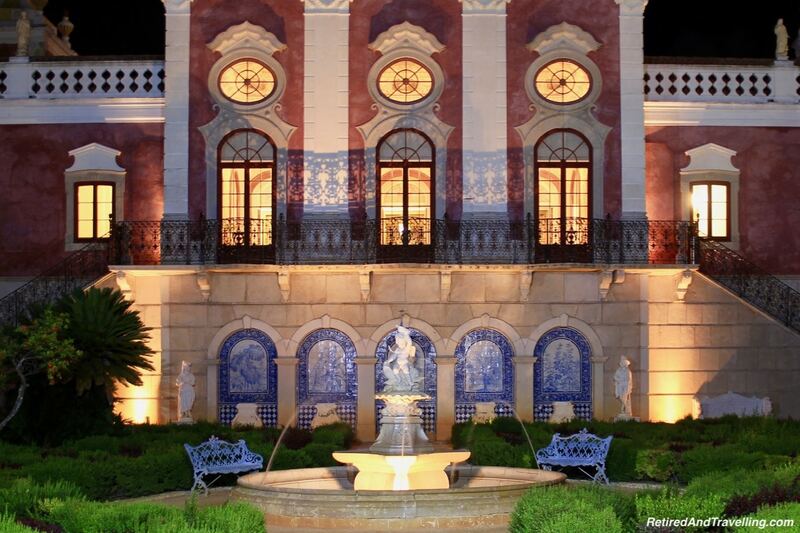 We were not sure what to expect for a stay in an Algarve palace pousada. The reception area and halls looked modern but would the rooms retain some of the history of the palace? We entered a large modern room with a great bathroom. It did not have the kitchen facilities that our last two hotels had provided. But the restaurant was supposed to be good. After we dropped our bags, we set off to explore the property. We found the modern gym and large pool area. Then we kept walking. Past reception we found the first salon area. The seating area had dark leather furniture. But when you walked in you got a surprise. 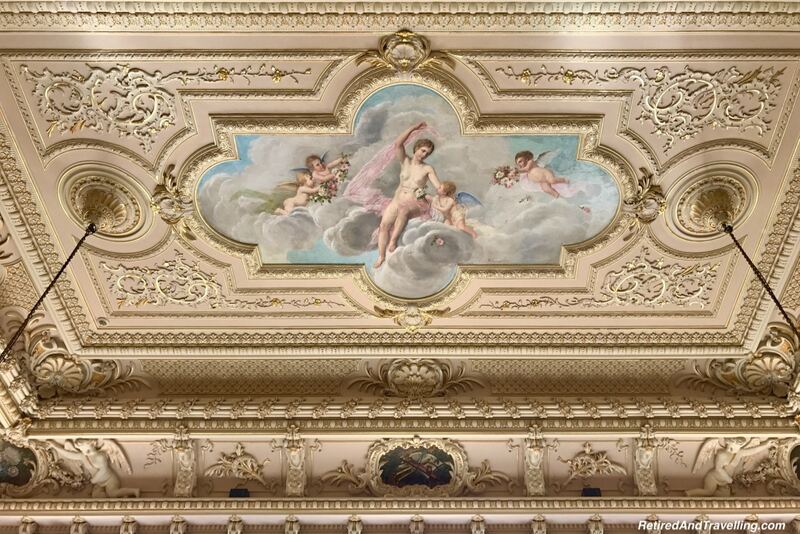 Looking up we saw a beautiful decorated ceiling. Excited by this discovery, we moved on to the second salon. This one was far more fancy and ornate in design. 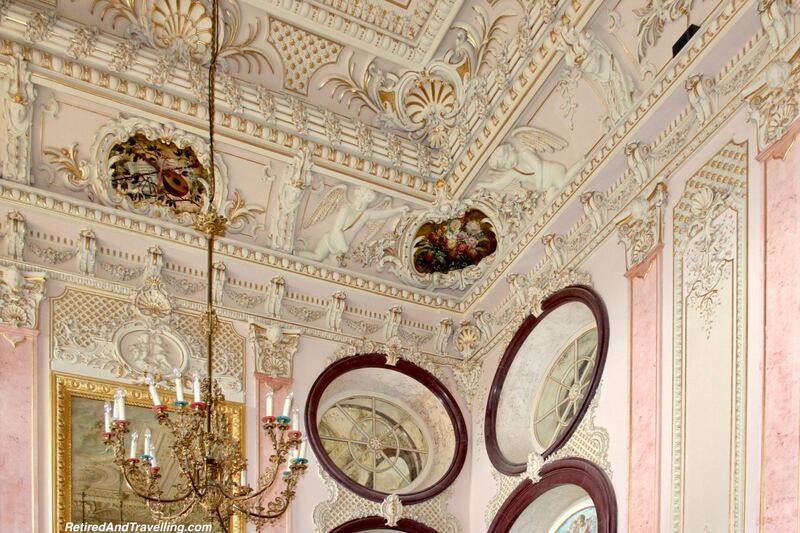 It certainly looked like a palace salon. The last salon looked like the men’s retreat. 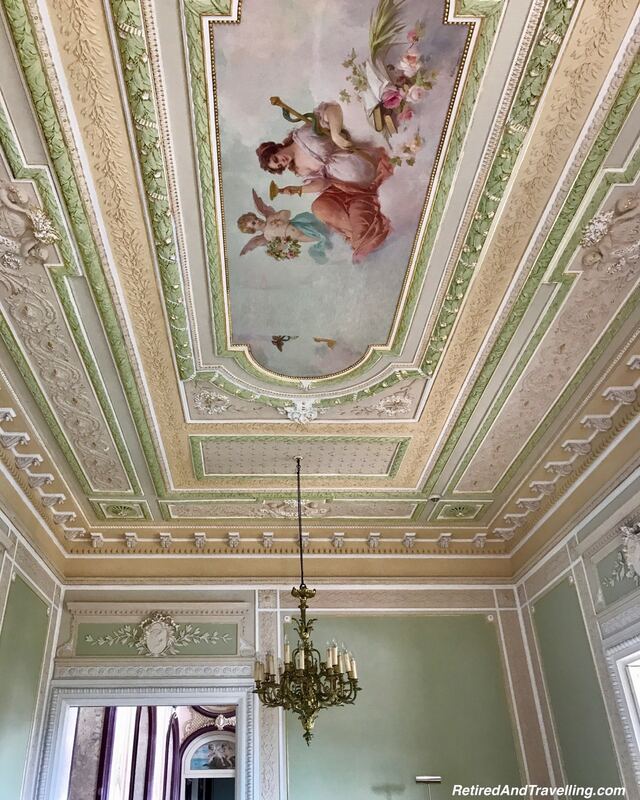 This one was all done in wood but even it had a decorated ceiling. 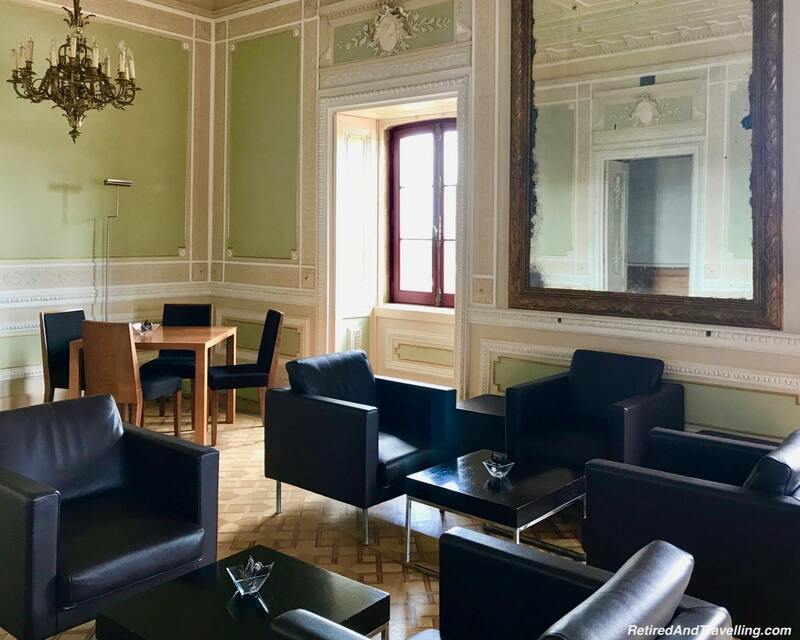 The inside salons certainly showed us what a stay in an Algarve palace pousada looks like. Delighted by what we had seen inside, we headed to the outside area. The first thing we saw was the remains of roman ruins. 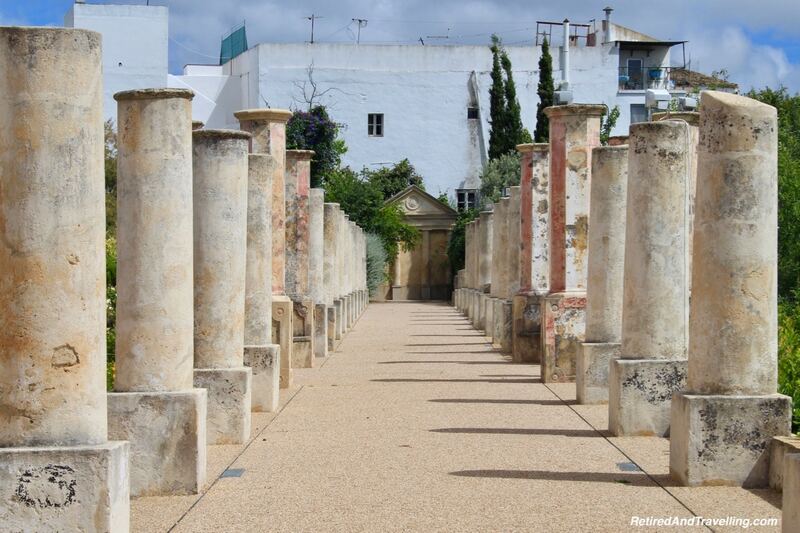 Columns ran in rows along a top patio. From this upper level, we had a good view out over the artful layout of the gardens. 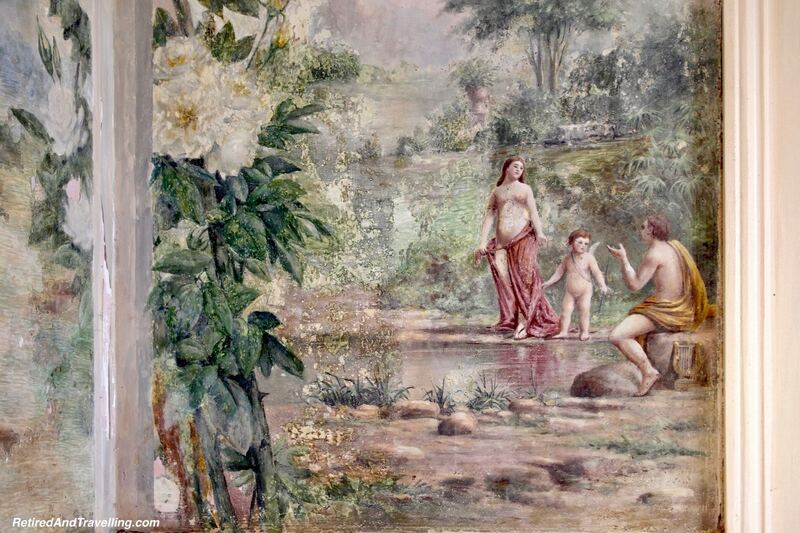 In the middle we could see a playful fountain. It was a bit strange to see a very modern outdoor swimming pool beside this look to the past. We walked down to the main level and entered through small single-roomed gate house. 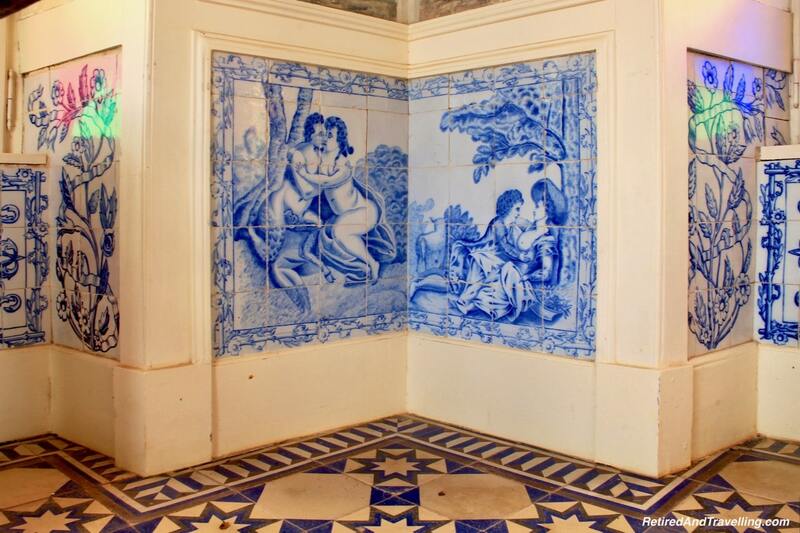 The building was decorated from floor to ceiling with Portuguese tiles and paintings. 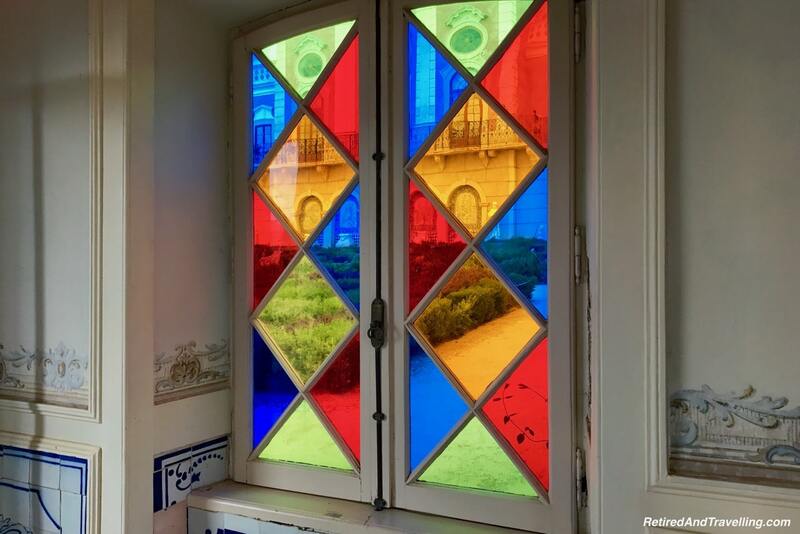 The windows were stained glass. We walked out into the gardens. Stepping back we got a view of the multiple levels of the palace. 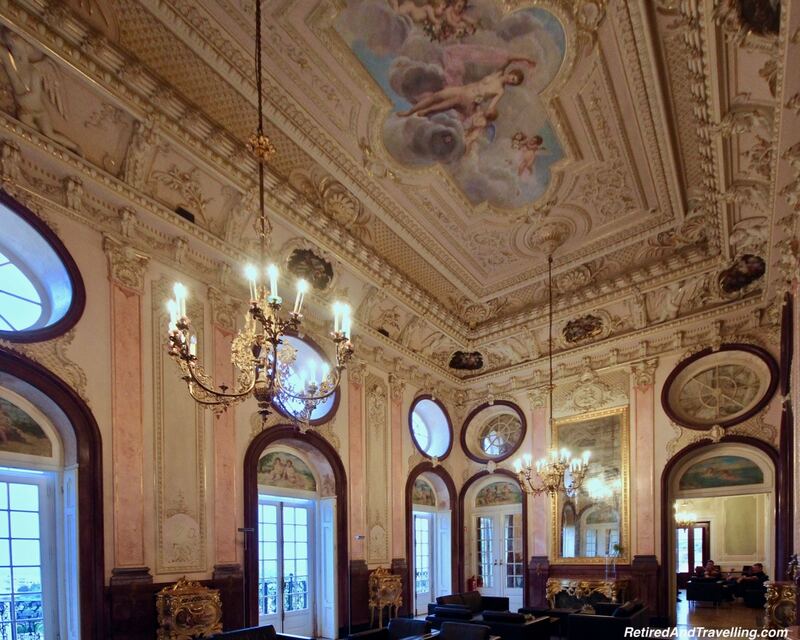 It was truly a stunning view of this palace we were staying in. 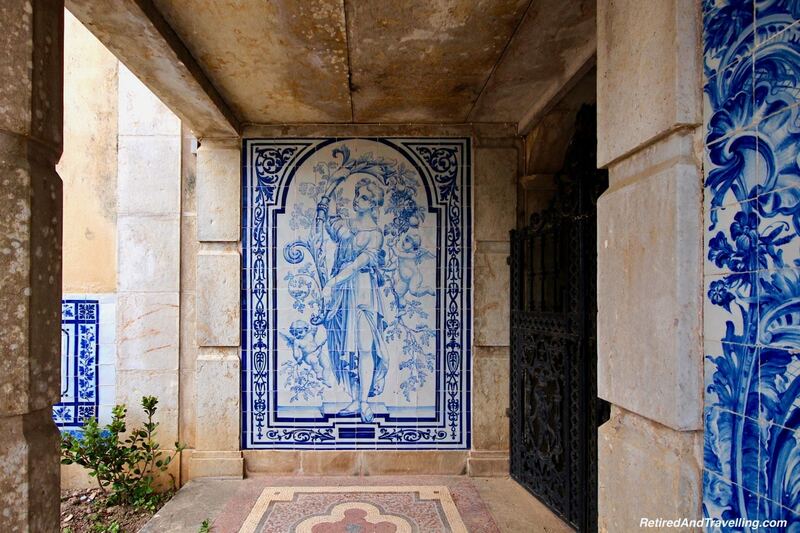 When we went close we saw more traditional Portuguese tiles on the wall and small statues in the nooks. This was our first real view of the beautiful blue tiles. 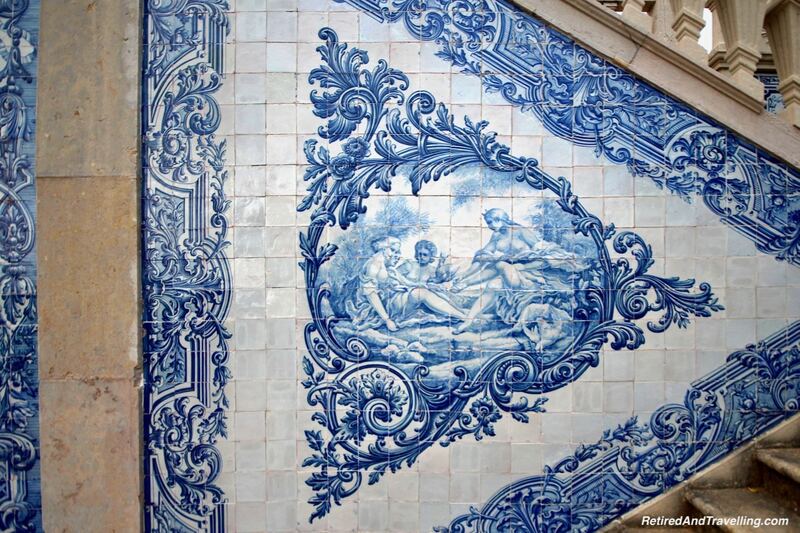 We would see so much more when we visited Porto and found the tiles inside and outside on buildings. 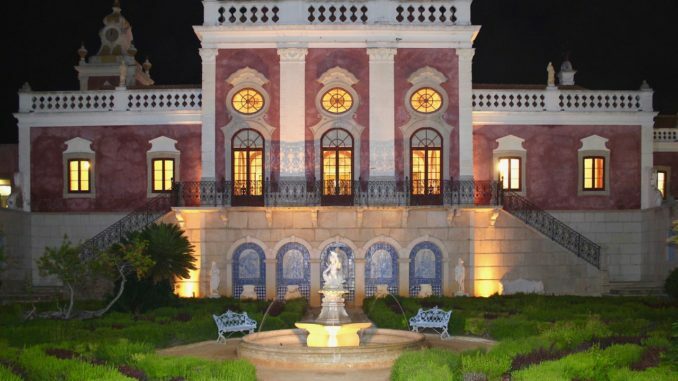 This stay in an Algarve palace pousada brought us to such a unique setting! Stairs led the way down to other levels of the palace outdoor areas. 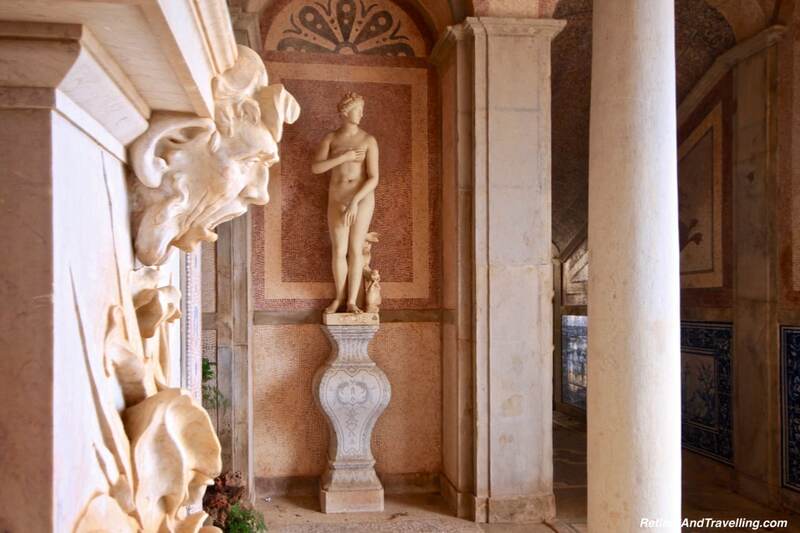 The upper patio looked out towards Estoi and the long path that led up to the palace. The next level down had a large fountain. The lowest level provided a complete wall decorated with tiles. 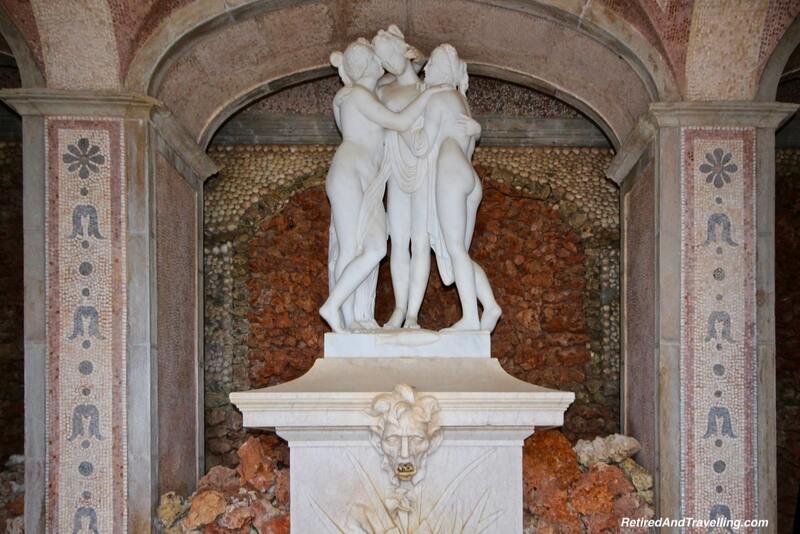 The centre alcove contained a series of chambers with statues. Side alcoves had yet more statues and tile work. There was no question that this was a stay in an Algarve palace pousada! We are often excited to see places from different perspectives and at different times of the day. 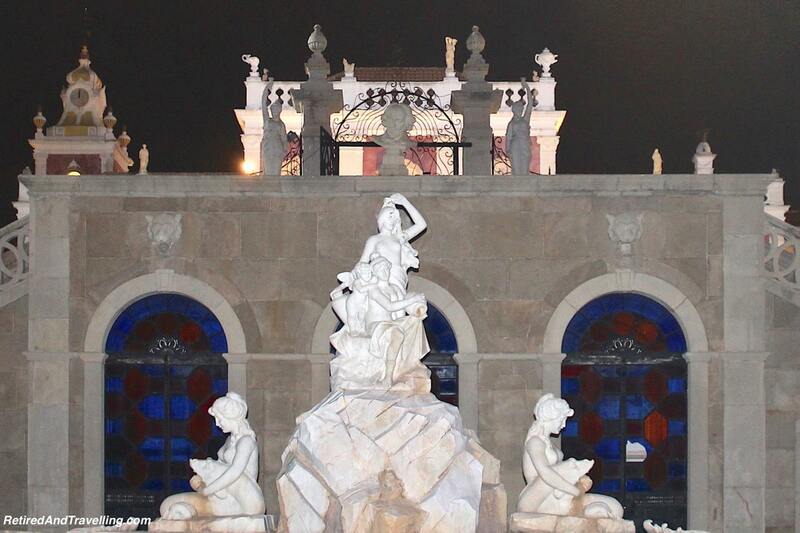 After dark, there was a magic to the whole view of the palace. 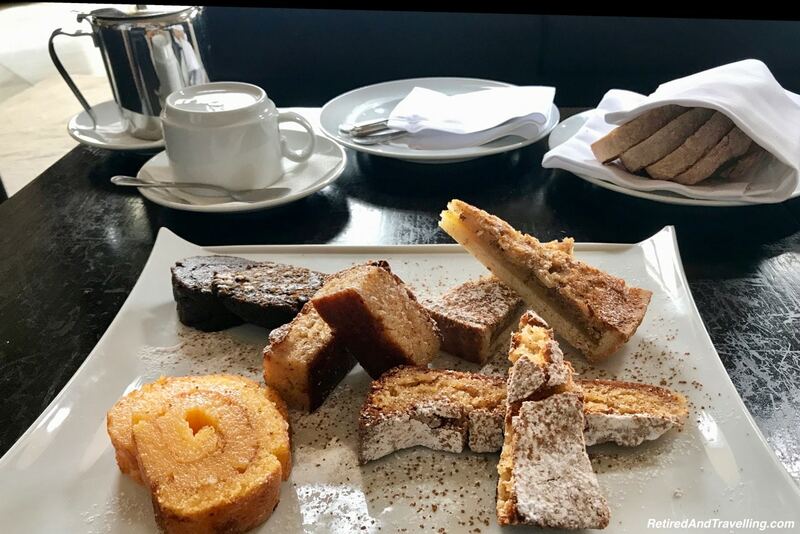 We love to enjoy the luxury of Afternoon Tea. We spent a winter exploring the Afternoon Tea options in Toronto. Afternoon Tea is a treat when we cruise on luxury cruise lines. Even on a short stay in Seattle, we shared an elegant Afternoon Tea with friends. 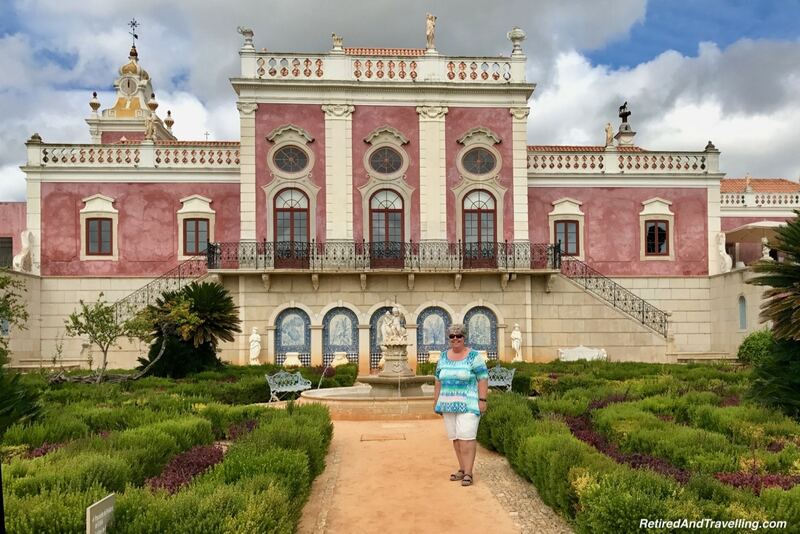 A stay in an Algarve palace pousada gave us the opportunity to try another Afternoon Tea. We settled into one of the salons and ordered. While the tea selection was quite simple, the Afternoon Tea came with a large selection of local Portuguese sweets. There was not a real selection of savoury items but we did get some warm toast and jams. Toast seems to be a very Portuguese snack! It was a very inexpensive Afternoon Tea compared to many we have had (about 20€). And the sweets were really good. If you book a stay in an Algarve palace pousada, you should definitely try Afternoon Tea. We decided to try the restaurant at the hotel for dinner one night. There was a great selection of local foods and a good seafood menu. I couldn’t pass on the grilled octopus over carmelized onions. 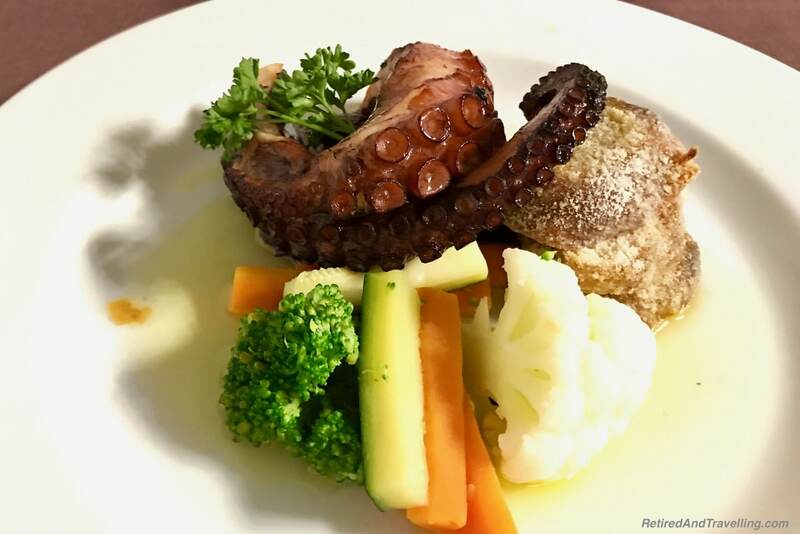 We had enjoyed tasty octopus in Lisbon and I wanted more. 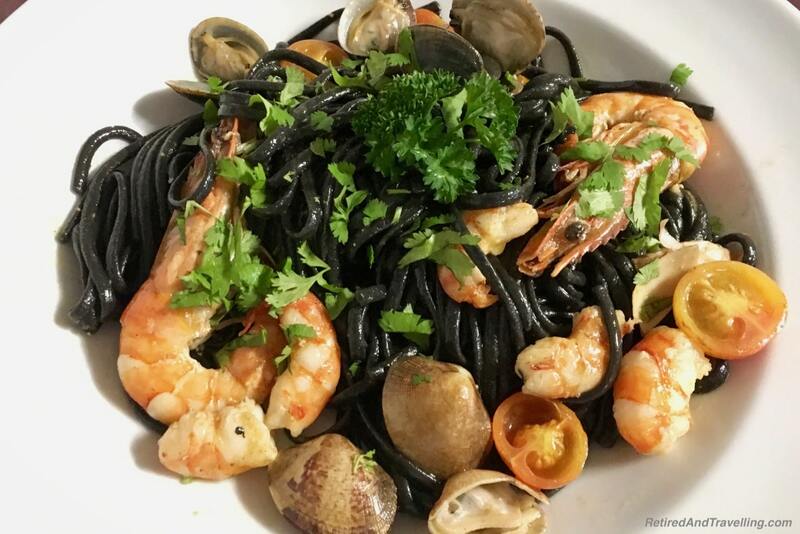 David had black squid linguine with clams and shrimp. When we left not a morsel behind, the chef knew we had enjoyed our dinners. Breakfast was a buffet with a good selection. One night after we had a great lunch as we explored the Eastern Algarve, we got takeout from the bar for dinner. Our grilled cheese and ham sandwich left us licking our fingers. 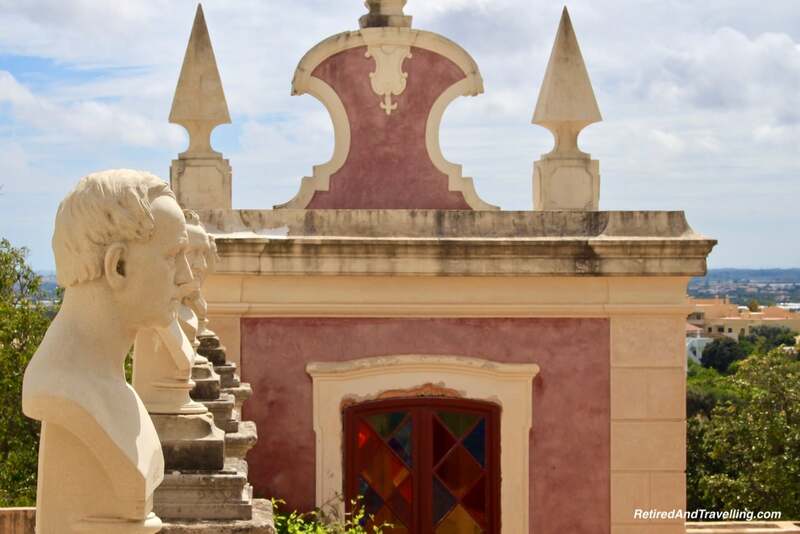 Ensure you try eating at this pousada! 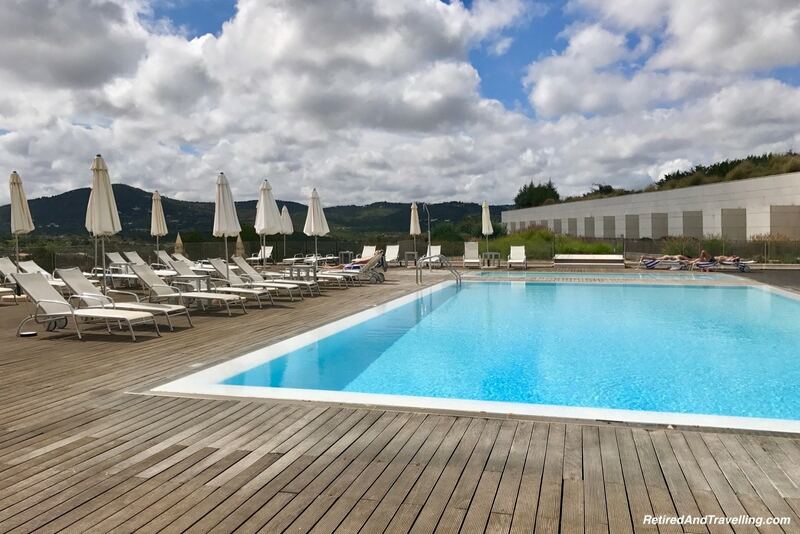 We tried three very different types of accommodations in the Algarve. We were so glad that we booked to stay in a pousada. The accommodations were comfortable and stylish. 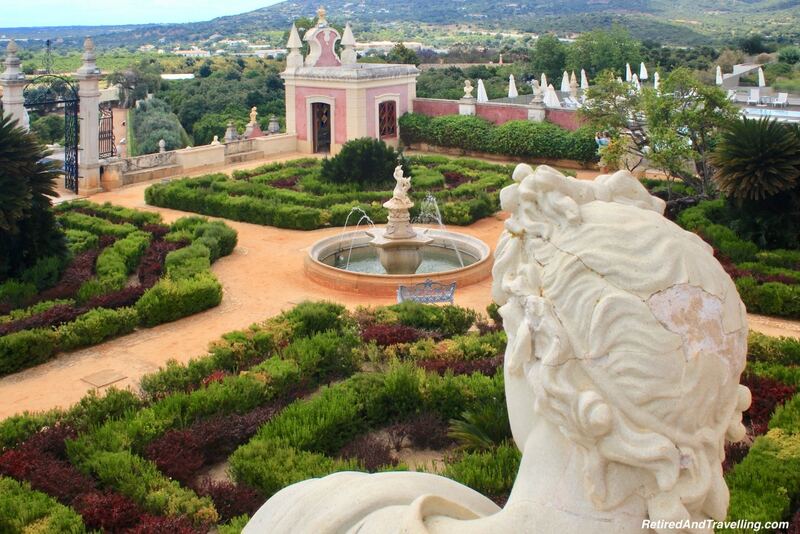 But a stay in an Algarve palace pousada offered so much more. We had the opportunity to enjoy a palace building and grounds without leaving our home away from home! 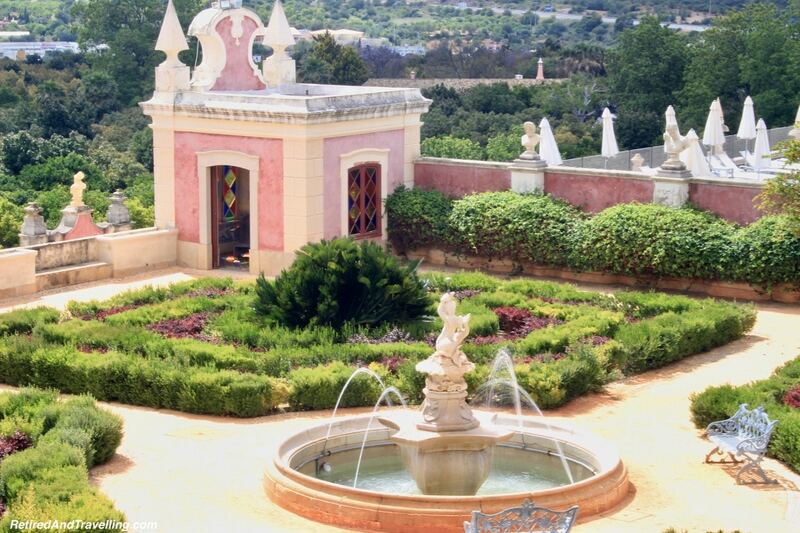 Have you tried a stay in an Algarve palace pousada? 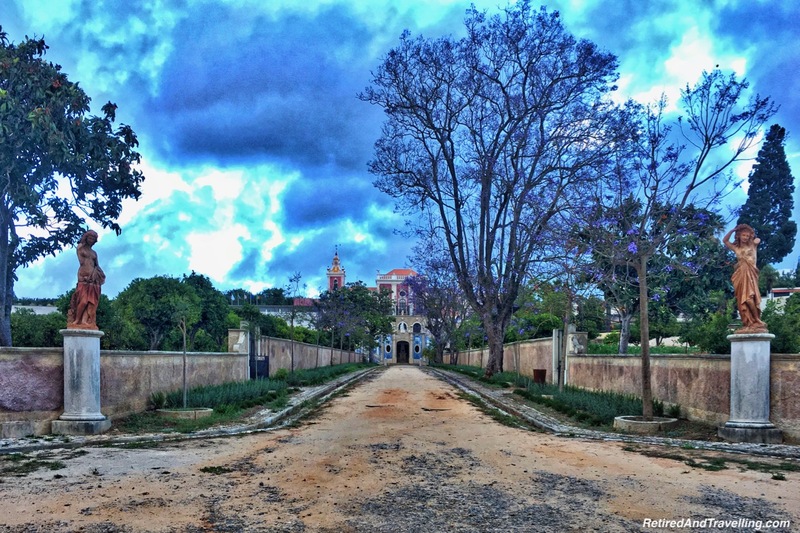 Have you stayed another pousada?